This Temple Tree of Life shows the mysterious tree of life shimmering on a grown background. Here we see the tree's branches and leaves accompanied by motifs representing birds. Animals and creatures are seen on the ground. The tree of life is the tree representing everlasting life or immortality, and is often referred to as the tree in the Garden of Eden. 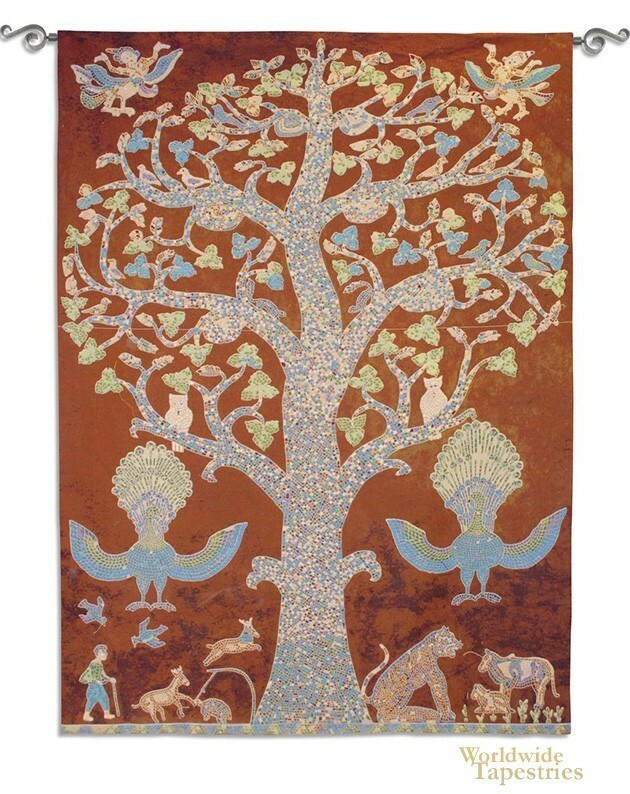 This Temple Tree of Life tapestry is backed with lining and tunnel for easy hanging. Note: tapestry rod and tassels, where pictured, are purchased separately. Dimensions: W 62" x H 83"